FL STUDIO updates free for life! Buy FL STUDIO now and get the latest version. Then later, all future FL STUDIO updates free. Nothing to pay, ever again! While our competitors typically charge $150-250 for an update, you will always be able to update FL STUDIO, to the latest version*, free. We believe you should have the functionality you paid for, bugfixed and updated, for as long as we develop FL STUDIO. * There is no FL STUDIO 13 to 19. In 2018 we jumped straight from 12.5.1 to 20.0, to celebrate 20 years of Lifetime Free Updates. 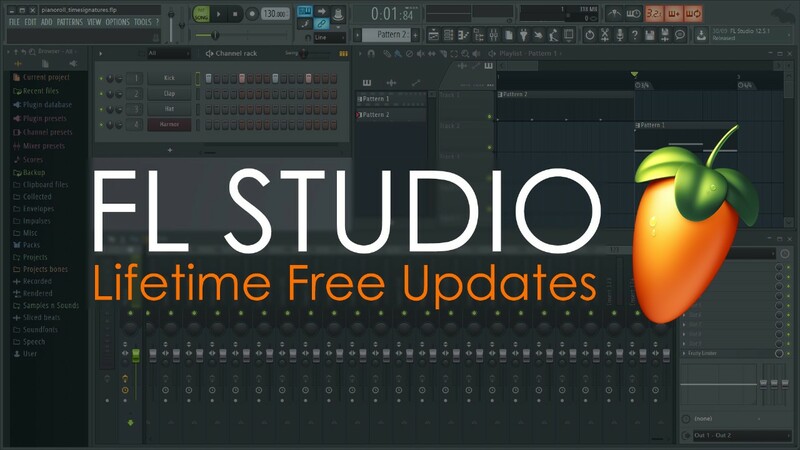 FL STUDIO 10 and up include Lifetime Free Updates. Boxes 9 and below require the purchase of a USD $39 Lifetime Free Update extension see procedure. Find out what new features our customers have received for free over the last 20 years on our history page. Do I get everything, new in FL STUDIO, for free? Not everything: Sometimes we develop new software synthesizers or effects and offer them as optional add-on purchases. You will notice, from the feature comparison, different versions of FL STUDIO have different core features and plugin bundles. You will get everything included in your edition of FL STUDIO, and the included plugins, updated free for the life of the product/s. We do add new core features free with every FL STUDIO version. We also add plugins for free too (example). So there's always plenty of new stuff to enjoy. BONUS you can ALSO download and use previous versions of FL STUDIO. See here.